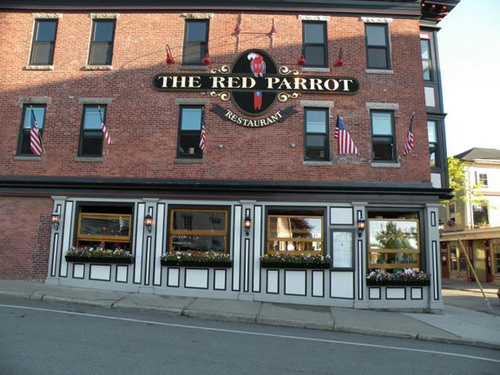 The Red Parrot is one of the most popular Newport Rhode Island restaurants, for a number of reasons. The first reason is its perfect location. Situated in the heart of downtown Newport, at the corner of Thames Street and Memorial Boulevard, it is just steps away from the harbor-front, and countless shops and attractions. 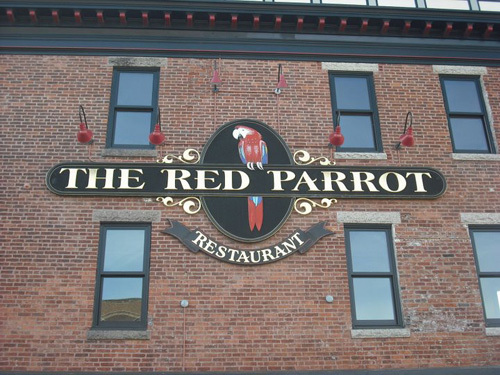 The Red Parrot is a great place to come for lunch, dinner or just some drinks, as long as you don't mind the crowds and the noise. During the summer (and on weekends year-round) this is one of the busiest hot spots in town. 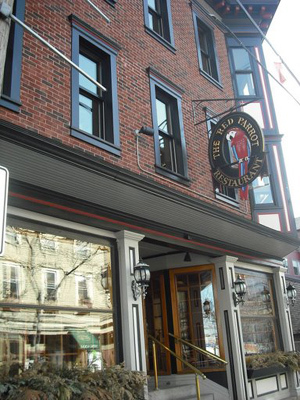 You can dine on each level of this 3-story historic building. There are bars on two of the floors. There's a jazz bar on the 2nd floor, and a wrap-around bar on the 1st floor. The 3rd floor is an ideal spot to hold a private party or a rehearsal dinner. The menu is very extensive, with good portions and something for everyone, including children. There is plenty of fresh seafood on the menu (this is the "City by the Sea" after all), as well as a variety of pasta dishes, steaks, sandwiches and eclectic pizzas. It's loud! - Don't expect to have a quiet dinner here. Definitely not the spot to propose to your fiancee. Good luck finding a parking spot! There is no parking lot here, so you're better off walking. You might get lucky and get a metered spot on the street, or try the Newport Library parking lot (a few blocks southeast) on Spring Street. 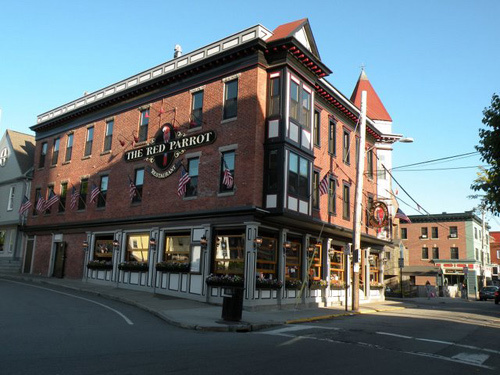 If you're staying in any of the downtown hotels or bed and breakfasts, this is one of the best Newport restaurants in the area.